Good Friday is one of the holiest day and one of the most important days in the Christian calendar. This year it falls on April 19, 2019. This day builds up to the Easter Sunday and marks the crucifixion of Jesus Christ. 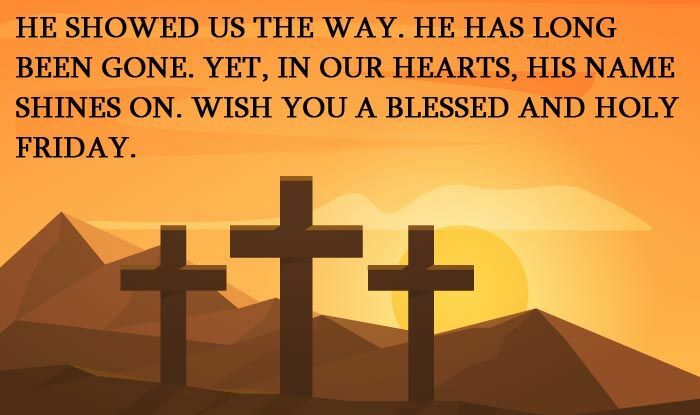 In most parts of the world – especially in the Christian-dominated western countries – Good Friday is declared as a national holiday; including India. The Catholic Church observes Good Friday as a fast day while the Latin Church has only one full meal. 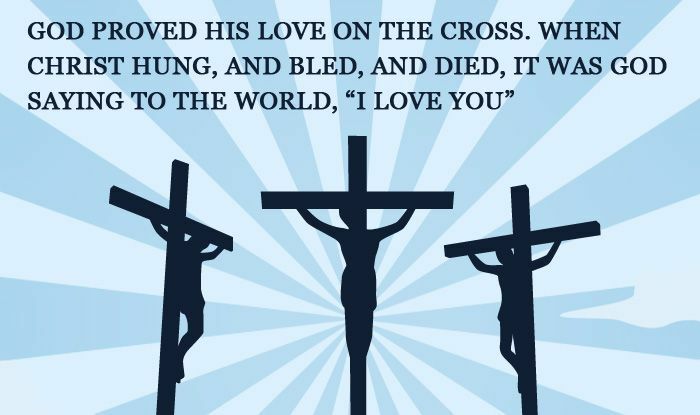 From the 16th to the 20th century, as per the Lutheran tradition, Good Friday was the most important religious holiday, and abstention from all worldly works was observed. 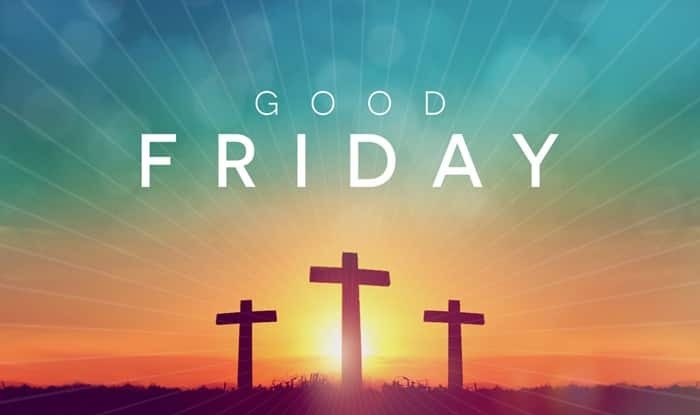 Good Friday is also known as Easter Friday, Holy Friday, Great Friday and Black Friday. 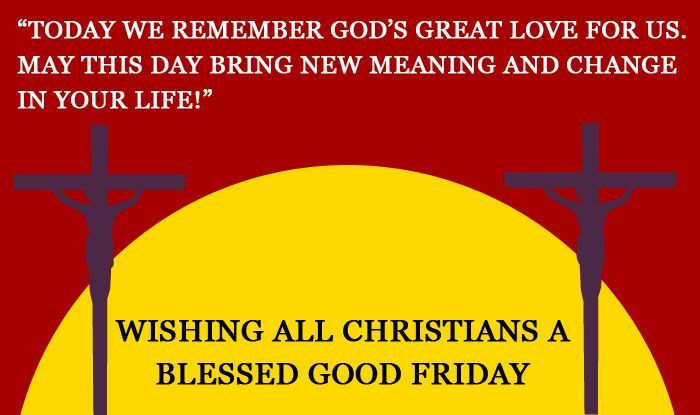 Byzantine Christians call it ‘Great Friday’ or ‘Great and Holy Friday’. Even though the origin of the term remains unknown and confusing there are various theories behind it. Fast and abstinence are needed to be observed as of obligation in the whole Church on Good Friday. Quote Reads: May your faith in the god, bring peace to your hearth & New hope in your life. 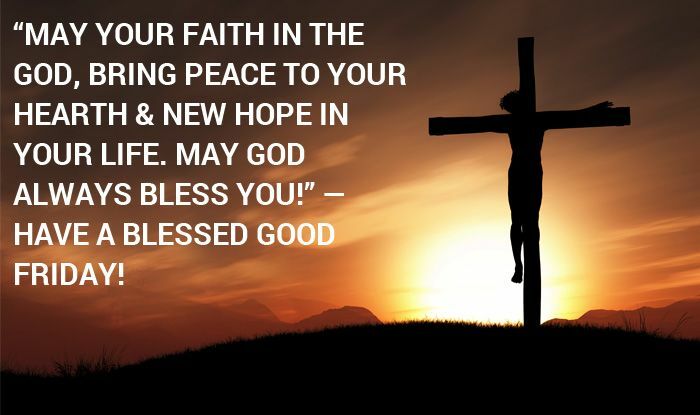 May God Always Bless You!” ― Have a Blessed GOOD FRIDAY! 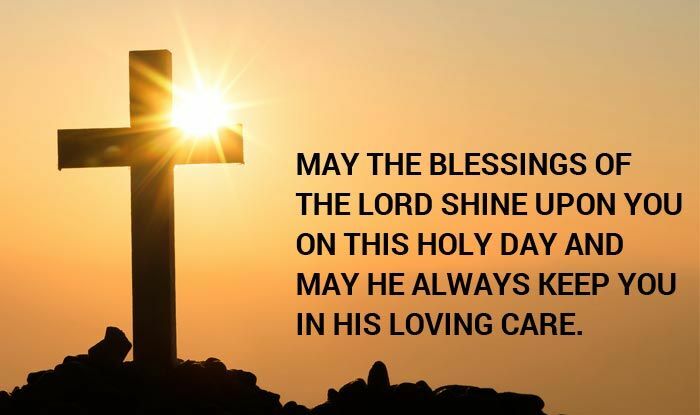 Quote Reads: May the blessings of the Lord shine upon you on this holy day and may He always keep you in his loving care. 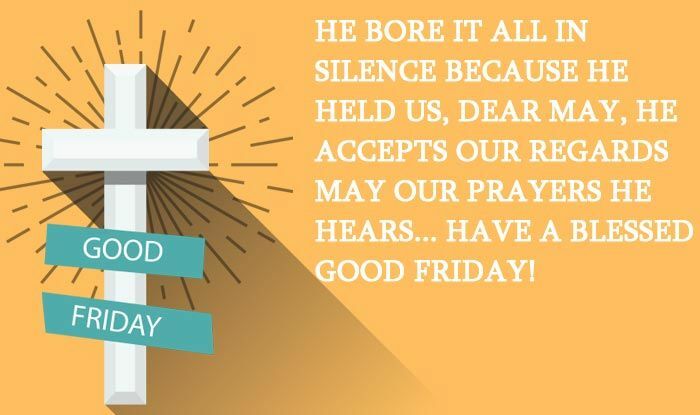 Quote Reads: He bore it all in silence Because HE held us, dear May, HE accepts our regards May our prayers he hears… Have a blessed Good Friday! Quote Reads: He showed us the way. He has long been gone. Yet, in our hearts, His name shines on. Wish you a blessed and Holy Friday. 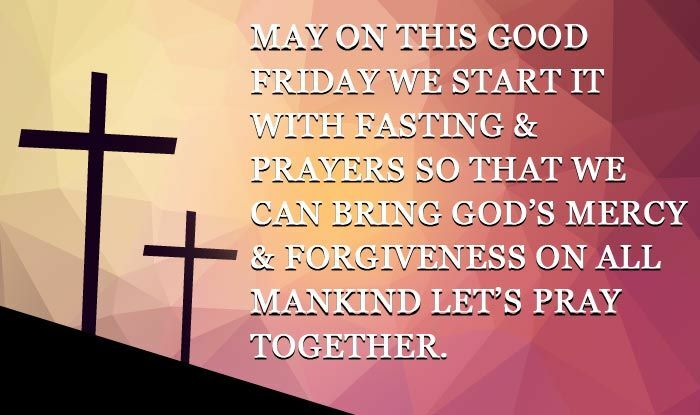 Quote Reads: May on this GOOD FRIDAY we start it with Fasting & Prayers so that we can bring God’s mercy & forgiveness on all mankind Let’s Pray together. 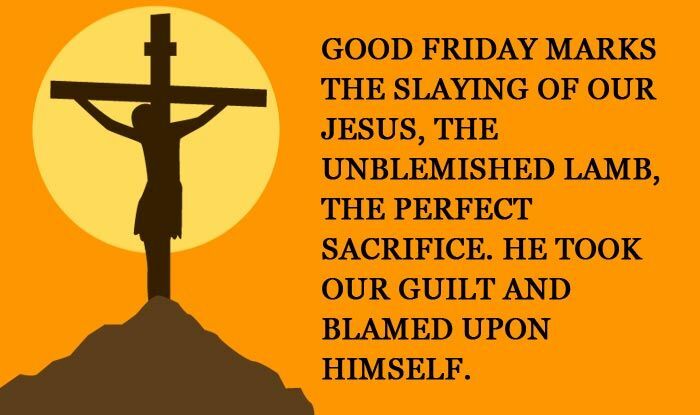 Quote Reads: Good Friday marks the slaying of our Jesus, The unblemished lamb, the perfect sacrifice. He took our guilt and blamed upon Himself. 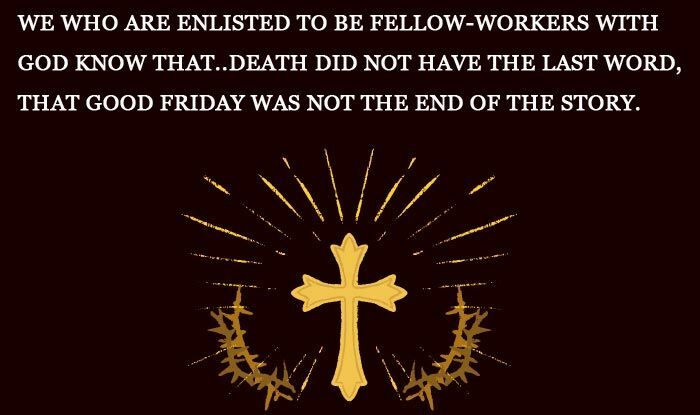 Quote Reads: We who are enlisted to be fellow-workers with God know that..death did not have the last word, that Good Friday was not the end of the story. Quote Reads: May the Darkest Night will end and the Sun will rise. 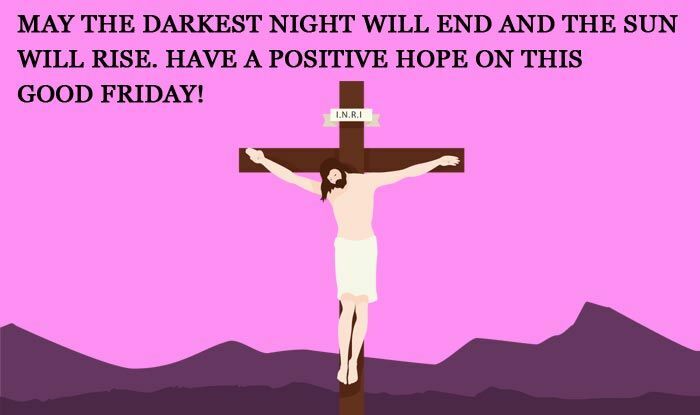 Have a positive hope on this Good Friday!